He also warned that staff caught in illegal sales of tickets would be arrested and prosecuted accordingly. “We are going there to arrest anyone caught up with tickets racketeering. The long queue at that axis is because coaches are not enough. “The reason we bought those coaches was for people to sit down. But people are standing, they shouldn’t stand. 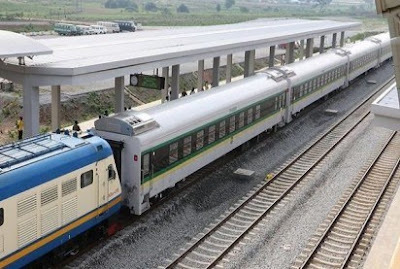 But, I have directed that we should move two coaches from Itakpe-Warri to Kaduna-Abuja. Today is the first day that I will be giving this directive. “The first directive I gave was to move two coaches from Itakpe-Warri to Lagos. When we saw the problem today, I told the MD, to move two coaches to Kaduna from Itakpe-Warri because, there are no much passengers in that axis,” he said.